Airbus Defence and Space has delivered to the Spanish Air Force the first two Eurofighter Typhoons to be produced in the latest configuration with enhanced Air-to-Surface capabilities. The aircraft were manufactured at the Getafe Final Assembly Line in the P1Eb FW (Phase 1 Enhanced Further Work) configuration, which marks a key step in the overall Eurofighter evolution plan. 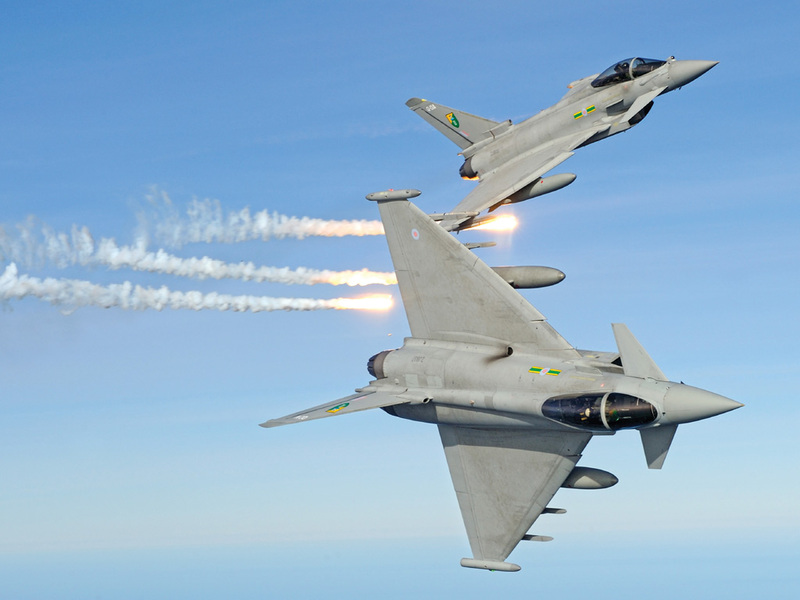 This same configuration is being retrofitted to in-service aircraft by other Eurofighter Nations. It provides increased integration of a variety of Air-to-Surface Weapons and enhanced targeting among other improvements. Spanish Procurement Agency DGAM took delivery of the aircraft on 22nd December and they were subsequently ferried to Albacete Air Force Base to enter service. The remaining six of the 73 aircraft currently contracted by Spain will be delivered to the same P1Eb FW Standard during 2018 & 2019.